Charge it up and take it with you! The Carrie LED Lamp is based on the Carrie Lantern design from the Spring 2015 collection. 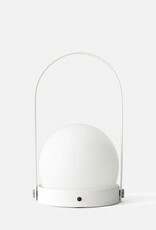 The design has been improved with an opaque opal glass shade, which contains an LED lamp inside. The light can be adjusted in steps to provide a cozy ambient light. 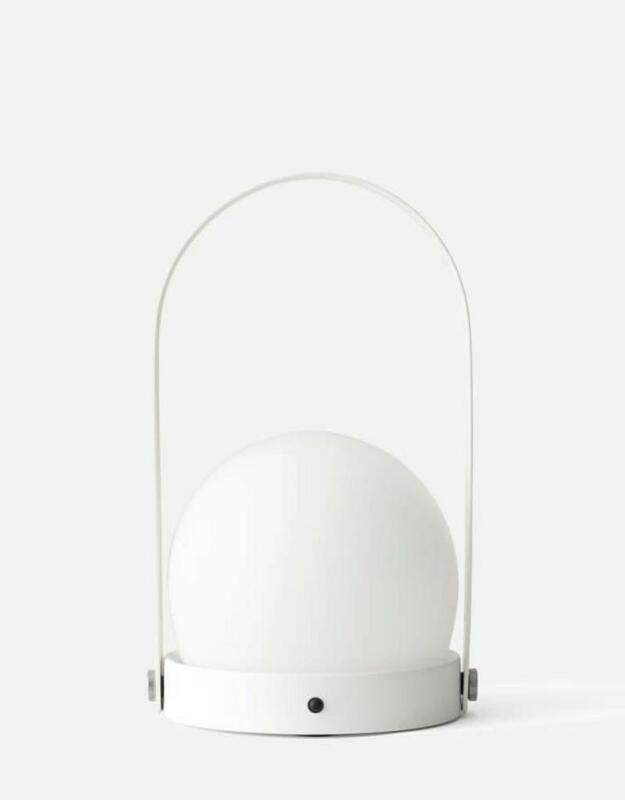 The lamp is also mobile, thanks to an internal rechargeable battery, charge via a USB cable. The Carrie LED Lamp makes for a great lamp for small trips. Bring it to the beach for a cozy late-night get-together, or take it with you on that intimate sunset picnic. The glass is mouth-blown opal glass with an acid finish. The body is powder coated steel.